Do you want to be KING OF THE MOUNTAIN? 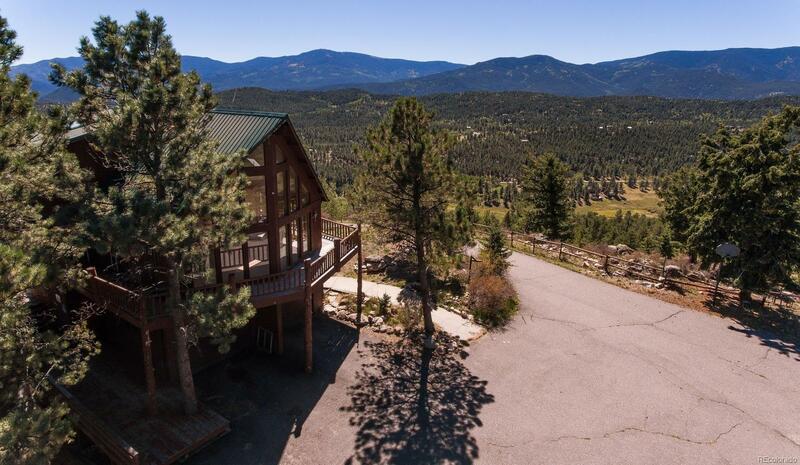 The views from this mountaintop home will take your breath away! This home needs work and the price accommodates for that. Updating, repair, and a little work will make this a Million dollar home or mountain retreat center. Less than 3 miles from 285. The possibilities for this property are endless. Feel free to roam around the wooded acreage and don't forget to take in the breathtaking views of Rosalie and Kenosha Mountain range.